Hardwood flooring stretching throughout the living room. Large living room with 9 ft. ceiling, large windows, and gas log fireplace. Roomy kitchen features lots of counter space, sink, appliances, and plenty of storage as well as a breakfast nook large enough for a dining table. Formal dining room that can be converted to a home office if preferred. Bonus room on the upper level that can be a 4th bedroom. Screened-in porch overlooking the well maintained private backyard. 406 Penobscot is just one of the great homes situated in Gresham Park. Inside, you’ll love the neutral colors of this home and the wonderful floor plan. There’s easy foot traffic from the living room to the kitchen and the rest of the house. There’s plenty of natural light coming in from the large windows in the living room as well as the back. There’s plenty of room to entertain in the living room that leads onto a good-sized entertainer’s screened porch. Outside, imagine sitting back, relaxing, and enjoying the beautiful day or the cool evening with a fire burning in the fire pit warming up the night. Or you can get cozy inside the living room, enjoying the warmth of the fireplace, or enjoy converging in the kitchen with your family. The large kitchen is spotlessly presented with wooden cabinetry along with plenty of counter space, appliances, and sink. There’s enough space to place a dining table in the breakfast nook so it offers the convenience in choosing to make the adjoining formal dining room a home office if preferred. Upstairs, there’s plenty of space to get more comfortable. The master bedroom features a spacious master bathroom with a double sink, tub/shower and walk-in closet. All bedrooms have carpeted flooring. There is also bonus room located on this level which you can convert into a 4th bed room. Another thing to love about this home for sale in Gresham Park is its great location. 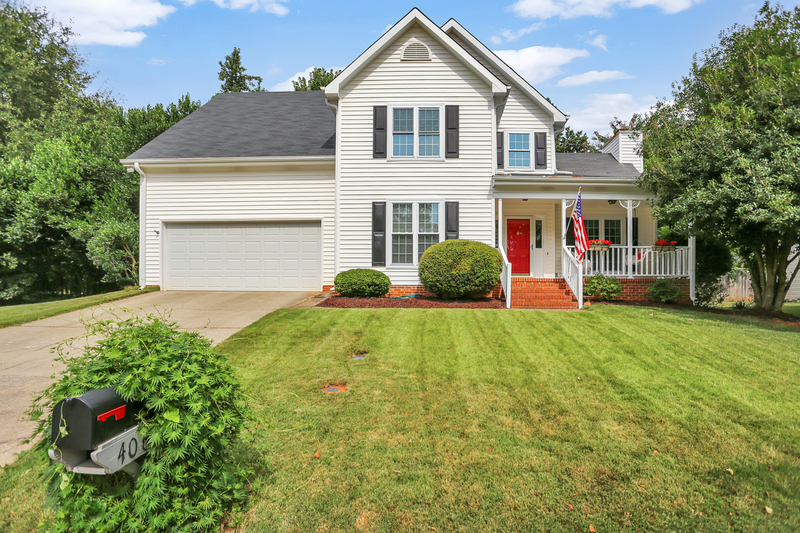 406 Penobscot Court is conveniently located just off of Woodruff Road, close to the heart of Five Forks area where you have easy access to city amenities, improving the quality of life.